All organizations, from service to industry, must create an environment of innovation if they wish to be successful. Innovation does not start with hiring more imaginative people, but rather by fostering an environment that allows creativity and innovation to happen, and where contributions can come from anyone. 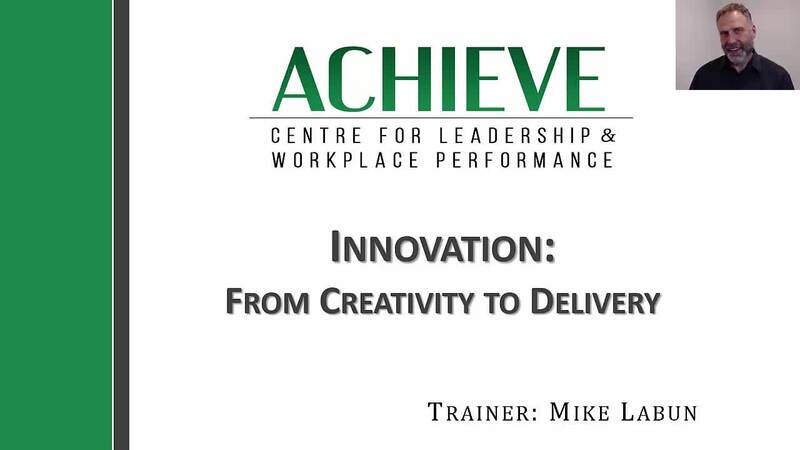 This webinar provides practical strategies for stimulating and channeling creativity and innovation into organizational productivity. Viewers will learn how to generate good ideas, identify which ones to pursue, and implement them effectively.